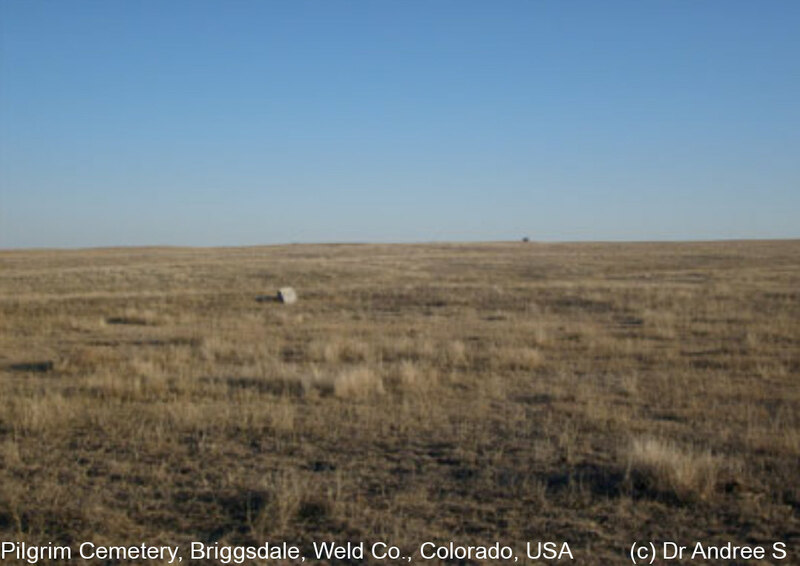 Pilgrim Cemetery is located in Township 7N, Range 60W, Section 19 near the town of Briggsdale. This is an abandoned public cemetery which was established in 1917. Most of the burials were the victims of the 1918 flu epidemic. Only one headstone remains visible.